KINGS POINT, N.Y. — Adam Katz is happy to talk to reporters when he is promoting his business, a charter flight company based on Long Island called Talon Air. The Top 1 Percent: What Jobs Do They Have? A mansion in Kings Point, in an affluent slice of Long Island that F. Scott Fitzgerald immortalized in “The Great Gatsby” as West Egg and East Egg. 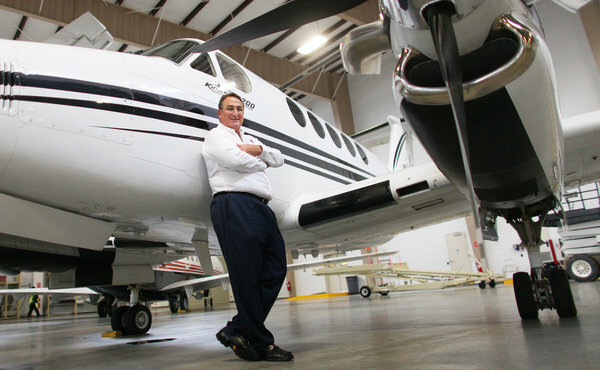 A few months ago, Mr. Katz was just a successful businessman with five children, an $8 million home, a family real estate company in Manhattan and his passion, 10-year-old Talon Air. Now, the colossal gap between the very rich and everyone else — the 1 percent versus the 99 percent — has become a rallying point in this election season. As President Obama positions himself as a defender of the middle class, and Mitt Romney, the wealthiest of the Republican presidential candidates, decries such talk as “the bitter politics of envy,” Mr. Katz has found himself on the wrong end of a new paradigm. As a member of the 1 percent, he is part of a club whose name conjures images of Wall Street bosses who are chauffeured from manse to Manhattan and fat cats who have armies of lobbyists at the ready. But in reality it is a far larger and more varied group, one that includes podiatrists and actuaries, executives and entrepreneurs, the self-made and the silver spoon set. They are clustered not just in New York and Los Angeles, but also in Denver and Dallas. The range of wealth in the 1 percent is vast — from households that bring in $380,000 a year, according to census data, up to billionaires like Warren E. Buffett and Bill Gates. The top 1 percent of earners in a given year receives just under a fifth of the country’s pretax income, about double their share 30 years ago. They pay just over a fourth of all federal taxes, according to the Tax Policy Center. In 2007, they accounted for about 30 percent of philanthropic giving, according to Federal Reserve data. They received 22 percent of their income from capital gains, compared with 2 percent for everybody else. Most 1 percenters were born with socioeconomic advantages, which helps explain why the 1 percent is more likely than other Americans to have jobs, according to census data. They work longer hours, being three times more likely than the 99 percent to work more than 50 hours a week, and are more likely to be self-employed. Married 1 percenters are just as likely as other couples to have two incomes, but men are the big breadwinners, earning 75 percent of the money, compared with 64 percent of the income in other households. Though many of the wealthy lean toward the Republican Party, in interviews, 1 percenters expressed a broad range of views on how to fix the economy. They think that President Obama is ruining it, or that Republicans in Congress have gone off the deep end. They favor a flat tax, or they believe the rich should pay a higher marginal rate. Some cheered on Occupy Wall Street, saying it was about time, while others wished the protesters would just get a job or take a bath. Still others were philosophical — perhaps because they could afford to be — viewing the recession as something that would pass, like so many previous ups and downs. Of the 1 percenters interviewed for this article, almost all — conservatives and liberals alike — said the wealthy could and should shoulder more of the country’s financial burden, and almost all said they viewed the current system as unfair. But they may prefer facing cuts to their own benefits like Social Security than paying more taxes. In one survey of wealthy Chicago families, almost twice as many respondents said they would cut government spending as those who said they would cut spending and raise revenue. Even those who said the deck was stacked in their favor did not appreciate anti-rich rhetoric. The placid sliver of Long Island that F. Scott Fitzgerald immortalized in “The Great Gatsby” as West Egg and East Egg seems almost to have shrugged off the recession. A stretch of northwest Nassau County that includes Great Neck, Manhasset and Port Washington, this area has the country’s highest concentration of 1 percenters, and one of the lowest unemployment rates in the state. Houses in Port Washington are worth only 10 percent less than they were at their peak, according to the Standard & Poor’s Case-Shiller Home Price Index, a far smaller decline than in the rest of the country. Yearly sales at the Americana Manhasset, the upscale granite and glass shopping center, have already exceeded their prerecession high. Even in down times, the 1 percent has staying power, being far more likely than any other group to stay where they are rather than slip to lower rungs of the economic ladder. The area’s residents include Anthony Scaramucci, the investor who was ridiculed for asking why President Obama was treating Wall Street “like a piñata,” and Bruce R. Bent, the financier now charged with fraud stemming from the Lehman Brothers collapse. Bernard L. Madoff once lived here; many of the victims of his scam still do. But there are also people whose fortunes had little to do with Wall Street, including the founders of family businesses like J&R, the electronics retailer, and Arizona Beverages. Susan Isaacs, the best-selling writer whose crime novels — replete with cashmere bathrobes and murdered periodontists — draw an arch portrait of suburban life, resides in Sands Point. In interviews, 1 percenters in this area tended to characterize their success as a product of talent and hard work, and many did indeed rise from humble beginnings. But they also tended not to dwell on the advantages conveyed by factors like race or family background. Studies show that whites have more upward mobility than blacks and that parental education level is a strong predictor of success. Only two racial groups make up a greater share of the 1 percent than of the population as a whole: whites, at 82 percent, and Asians, at 7 percent. This corner of Nassau is 77 percent white, 11 percent Asian and only 3 percent black. Those figures include a number of large ethnic enclaves, including families of Iranian, Russian and, more recently, Chinese and Korean, heritage. The 1 percent are family-oriented, nearly twice as likely to be married as everyone else. They have more children, but not more cars, than middle- and upper-middle-class families. For them, education is critical. A vast majority of 1 percenters graduated from college, and in a whopping 27 percent of couples, both partners have advanced degrees. Voters in this area tend to lean further left than wealthy people as a whole. Nationally, a Gallup poll found, people who make at least $500,000 a year are more Republican-leaning than everyone else (57 percent for the high earners compared with 44 percent). The respondents were more likely than other people to identify as moderate. This part of Nassau, on the other hand, has traditionally voted Democratic, except for pockets like Manhasset. But its status as a dependably liberal stronghold can no longer be taken for granted, said Robert Zimmerman of Great Neck, a top Democratic fund-raiser. “There’s a lot more tea in the vermouth now,” Mr. Zimmerman said. Some factors of political change may include the shock of the financial crisis, disappointment with Obama administration policies, and the steady influx of ethnic groups that tend toward the conservative. Financial benchmarks in this area can differ radically from those in places where more people are struggling to put food on the table. Many of Nassau’s affluent families think of themselves as practically middle class, saying that property values and taxes are so high that $380,000 does not go very far. There is something to that. Aspen’s 1 percent is very different from Akron’s. In some areas there are so many 1 percenters that the whole income hierarchy can shift. It may take $380,000 to be in the national 1 percent, but it takes $900,000 to be among the top 1 percent of earners in Stamford, Conn. Compared with that, the price of admission to the 1 percent in Clarksville, Tenn., is a bargain at $200,000. Of course, the cutoff is only one measure, and perhaps not the most telling one. The average income of the 1 percent, according to the Tax Policy Center, is $1.5 million, and the superrich — the 120,000 tax filers that make up the top tenth of this group — earned an estimated average of $6.8 million in 2011. The gap between rich and poor also varies widely. The 1 percent in Manhattan makes $790,000 or more, or 12 times the borough’s median income. In Macon, Ga., the 1 percent is far less lofty. The cutoff there is $270,000, roughly six times the median income. Location also affects politics. The wealthy in poorer states are more likely to vote Republican than the wealthy in rich states. The 1 percent also has a different makeup in different cities. Nationally, for example, doctors are more likely than any other profession to be in the 1 percent — one in five is. But in Macon, your surgeon is far more likely to make the local cut than in Manhattan, where financial managers and bankers have crowded doctors off the dance floor. Still, David Mejias, a divorce and personal injury lawyer who once served as a Democratic legislator for Nassau County, said that the system everywhere was skewed in favor of the self-employed and business owners who could deduct part of the cost of their cars, trips, dinners and even collectibles like art. The cutoff for the 1 percent varies depending on how income is calculated. On the low end, an analysis of census data puts the cutoff at $380,000 for a household and provides a wealth of demographic characteristics that were used in this article. On the high end, the Federal Reserve’s Survey of Consumer Finances, which uses a broader measure of income that includes capital gains, yielded a cutoff of $690,000 in 2007, the most recent year of data available. The Tax Policy Center, a nonpartisan group, makes projections based on Internal Revenue Service data and adjusts for people who do not file taxes. It puts the cutoff at $530,000 per tax return in 2011. Even by that gauge, though, $380,000 would still put a family well above the 95th percentile. There is little current data that would allow a measurement of the 1 percent by wealth. A higher proportion of 1 percenters (two in five) than 99 percenters (one in five) has inherited money, according to the Federal Reserve survey. The top earners got 10 percent of the inherited wealth in the country. Still, a majority of those earners reported no inheritance. Dr. Chandok, the Lake Success oncologist, said that her husband, also a doctor, was still paying off his student loans. The couple has a nanny, but Dr. Chandok’s father-in-law does the shopping and cooking. Dr. Chandok said she had never heard the Occupy Wall Street slogan “We are the 99 percent.” Two children and 11-hour workdays, she said, do not leave much time for politics. By e-mail or telephone, via friends or via silence, dozens of 1 percenters declined to be interviewed for this article. Some envisioned waking up to protesters on the lawn; others feared audits by the I.R.S. or other punitive government action. A managing director at a financial firm said he did not want to dignify the rhetoric of Occupy Wall Street by participating in an article on the 1 percent. An investor who had already been the target of protesters said he feared for his family’s safety. From one vantage point, these responses may seem extreme. But there is no doubt that the troubled economy has focused anger on the fact that the rich have grown richer and the middle class, over the last decade, has lost ground. Several 1 percenters mentioned the riots in Britain and Spain; one said he kept his plane fueled up. In a recent survey, the Pew Research Center found that Americans now ranked conflict between rich and poor as stronger than timeworn clashes between immigrants and the native-born, blacks and whites, or young and old. Many wealthy people have decried what they call class warfare. But that does not mean they think the system is not unjustly rigged in their favor. The investor who declined to be identified because he feared for his family said it was not fair that he paid a lower rate on his investment income than he would on a salary and asked why he should receive Social Security or Medicare. Perhaps he might have taken comfort in a small placard that was on view one autumn day in Zuccotti Park in Lower Manhattan, the center of the Occupy Wall Street protests. Copyright 2012 The New York Times Company. Reprinted from The New York Times, National, of Saturday, January 14, 2012.